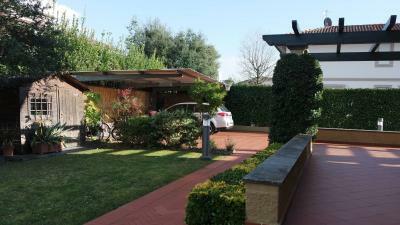 Family house for rent in Forte dei Marmi. At 400 meters. 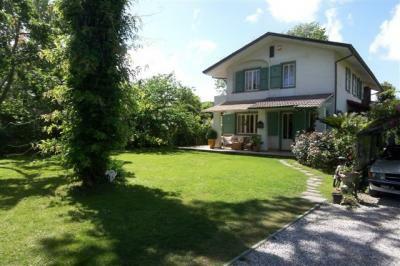 from the sea in a quiet zone this portion of semi detached House has a nice garden well planted on three sides and parking space. The House has two floors. On the ground floor entry area opens into a living room with dining area and a kitchen. 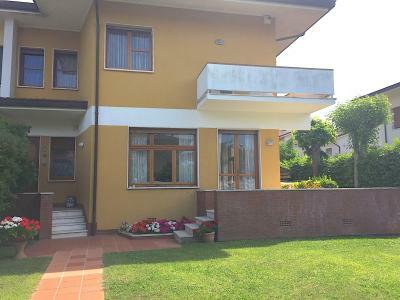 On the first floor are 3 bedrooms, two with double beds and one with twin beds and 2 bathrooms d.
On the ground floor there is a nice terrace with dining table.